Another day another nail polish! 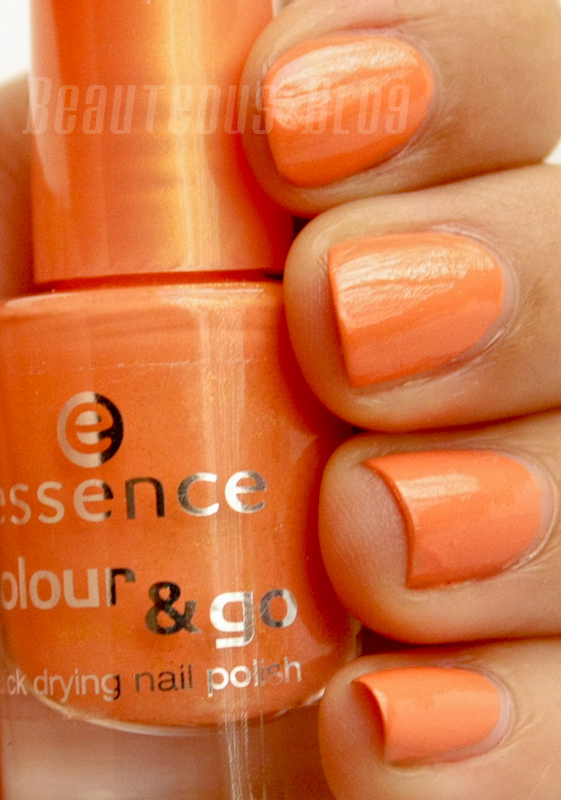 Today I painted my nails a really pretty peachy orange shade from Essence Colour & Go line, the shade What Do U Think? applies really smoothly. My application took about 2-3 coats to get the shade really opaque and without a top coat it dries really nicely. The polish did dry really quick, in a couple of minutes. 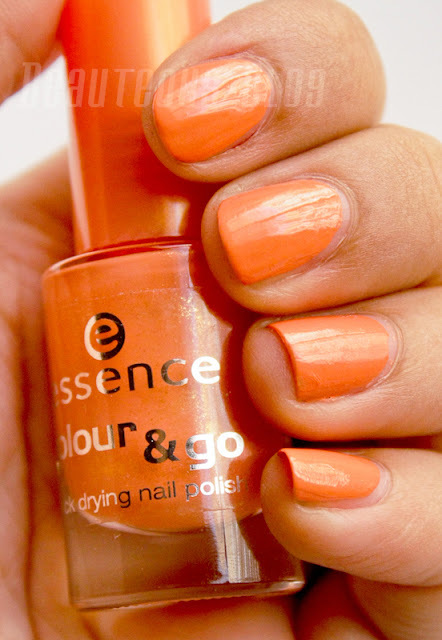 This polish was sent to me from a fellow blogger in Austria so I am unsure about the availability of Essence internationally, they are available online at Ulta in America which you can check out here for $0.99. Hope you all liked this nail of the day. Feel free to leave any comments or suggestions below! Love the color! Orange is a bit hard to pull off but it looks great on you! Orange is not really my fav colour, but this one looks so 'warm' and sweet, like it. you've got great nails!